Field Search – Simpson Park: Albany, Oregon. Winter is wrapping up with an unusually warm season here in Albany, Oregon. Meanwhile at Simpson Park, springs greenery and blossoms have begun to set the stage. 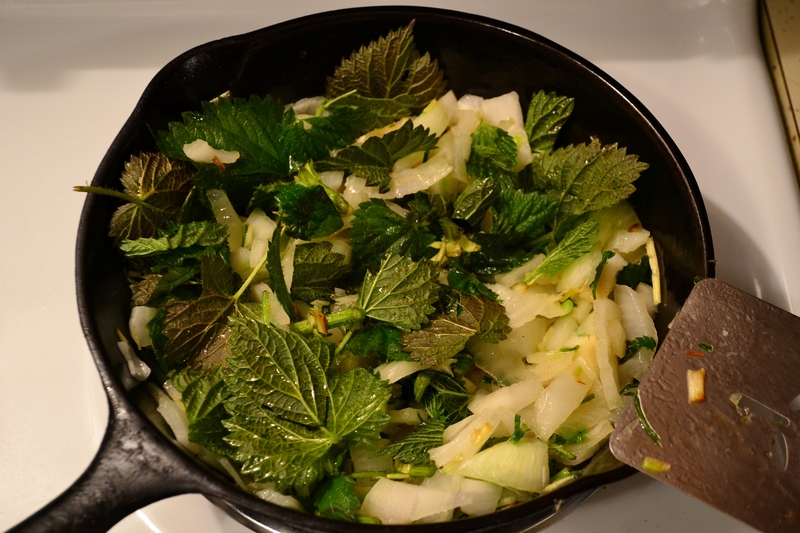 I’ve had the pleasure of cooking with Stinging Nettle the past few weeks, but now I set out in search of the latest vegetables. 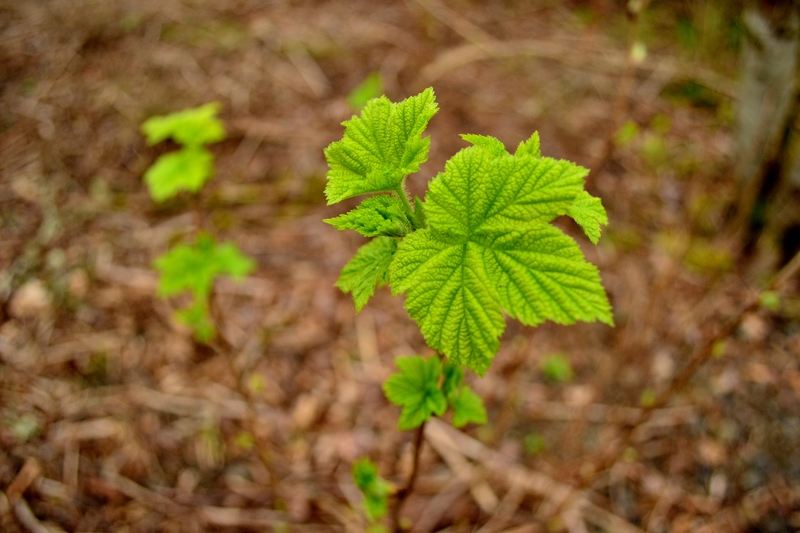 To my surprise Thimbleberry has already begun to spring up its new leaves. 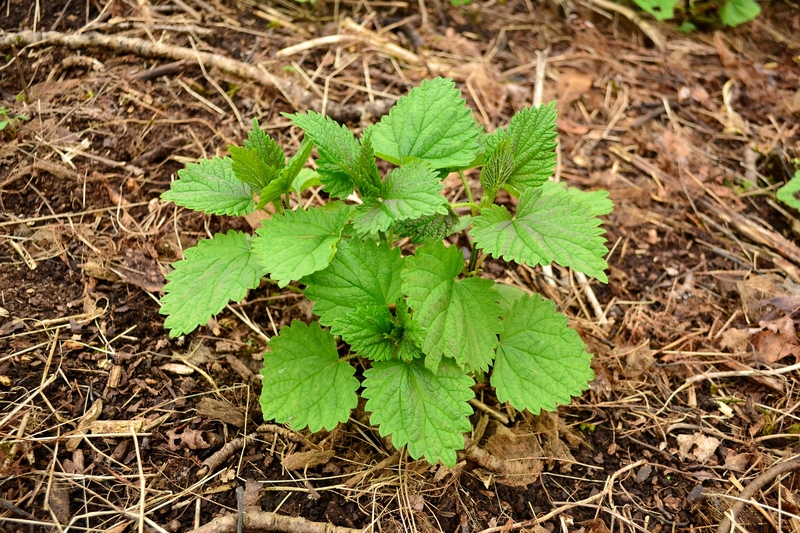 It was common for the Native Americans to eat Thimbleberry shoots as a vegetable. I peeled the skin to enjoy it fresh. It has the juicy texture of a non stringy celery yet without the celery flavor – mildly sweet with no offensive aftertaste. 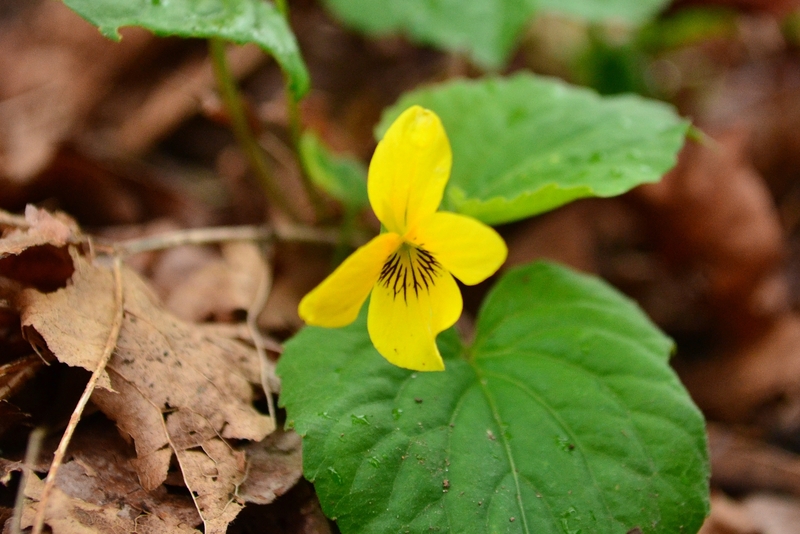 There are numerous reports of Violet’s medicinal uses, though I have yet to give this forest flower much attention. Its tiny blossoms (more commonly seen as the Violet color) make a striking food garnish, one I will be sure to put on my next salad. 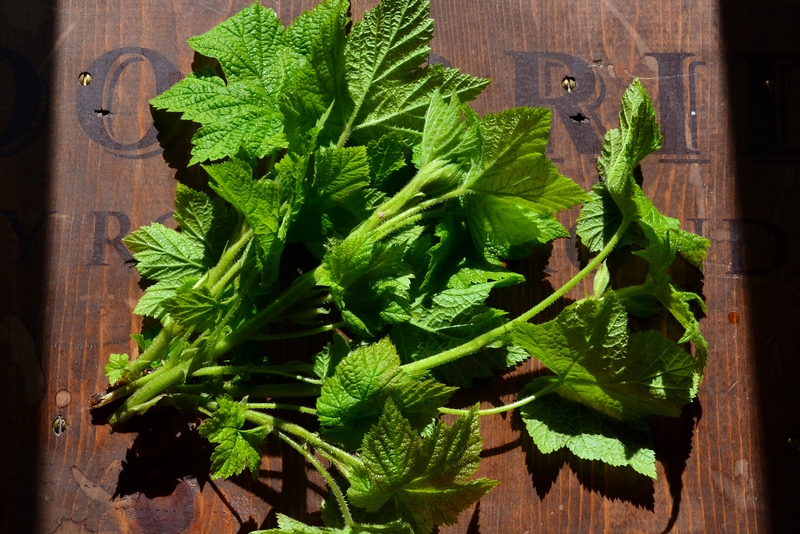 Stinging Nettle (Urtica diodca) standing proud, fresh and prime for the picking. Hint: wear gloves. Comparing Wild Carrot “Daucus carota” (Left) to the deadly Poison Hemlock “Conium maculatum” (Right) a mistake you can’t afford to make. However after careful physical examination the two are easily distinguishable. 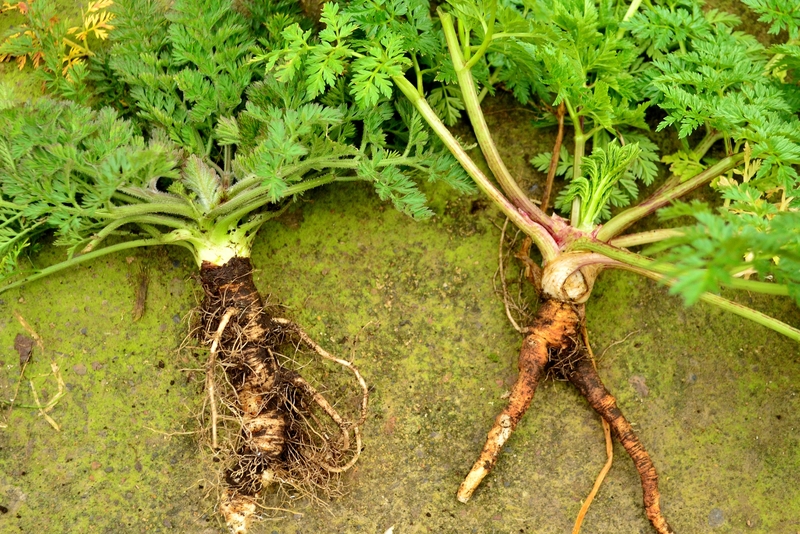 Also Wild Carrot root smells just like Carrot while Poison Hemlock not so much. 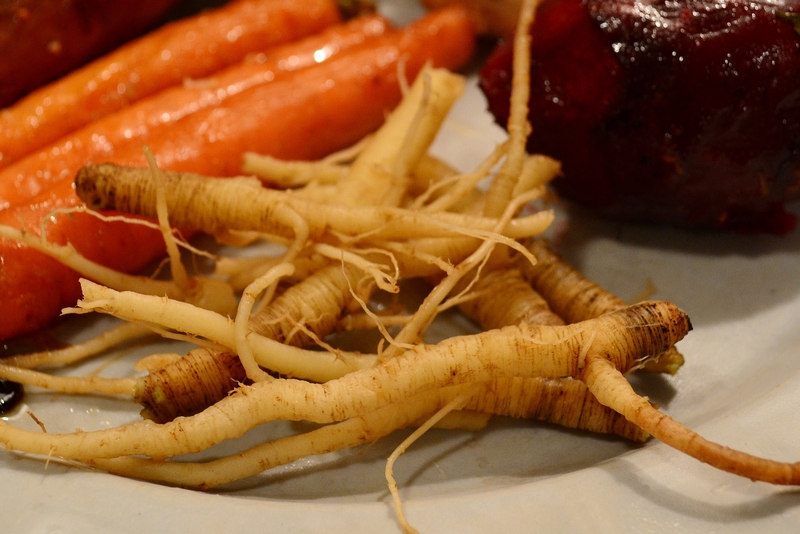 Boiled Wild Carrot root for dinner along with its domesticated brother in the background. Wild Carrot is almost identical in flavor to the farmed version, only not as sweet. This was my first year eating false Solomon’s Seal. 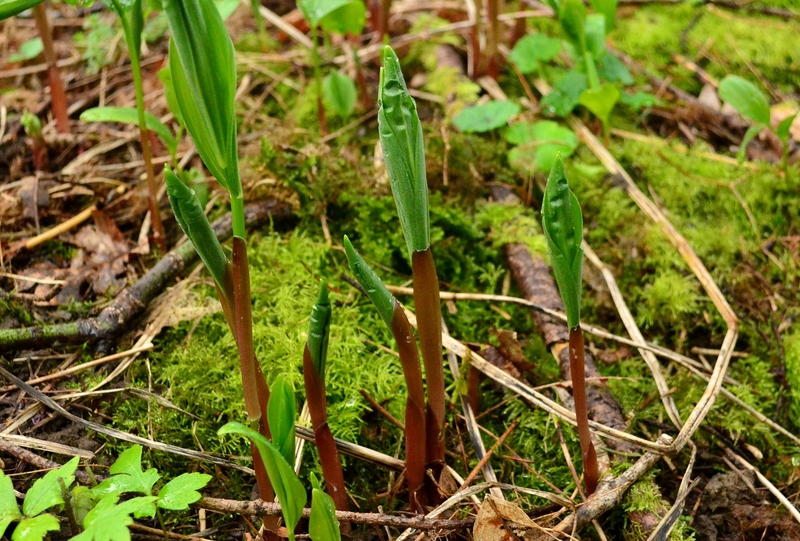 I snapped off the young shoots from the base and again just below the first set of leaves. They were boiled at a low simmer till tender. Their resemblance to Asparagus in flavor was remarkable. It’s reported that their rhizomes are edible as well but I have yet to try them. All in all I am happy to start seeing Earth’s forage sprouting up. The local woods are quickly filling with green, allowing me the pleasure of adding more diversity to the dinner plate. I shall continually look forward to the progressing seasons while sharing my findings with you good folks! Your questions, comments and experiences are always encouraged! Please use the comment box below or visit the Community page to share your forage. Thank you for visiting and be sure to hit the “Follow” button to be updated on future articles.